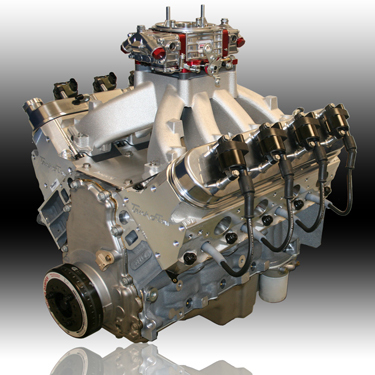 427 Cubic Inches ... One Of The Most Iconic Numbers In Hi Perf Chevy Engine History. Our LS7 Version Of This Iconic Small Block Will Bring A Smile To The Face Of Most "Old School" Chevy Diehards Who Want To Modernize Their Ride As Well As The Younger Guys Who Want An All Aluminum Ultra Light And Powerful Engine To Rocket Their Modern Ride. This Normally Aspirated 427 LS7 Delivers 715 HP And 612 Lb/ft All At A Very Affordable Price. Available Carburated Or With Moden Efi To Suit Your Fancy. Let The Good Times Roll!! Includes: Holley Super Sniper EFI Unit, Sniper EFI Touchscreen LCD Programmer, Bosch LSU 4.9 Wideband Oxygen Sensor, Stainless Steel Clamp-On Oxygen Sensor Installation Kit (May Also Be Welded). Base Tuneup and Parameters Set and Calibrated On Your Engine.